Cookies and cabernet. That certainly isn’t the food and wine pairing that has sommeliers singing all the way to the cellar. But in the spirit of the holidays, our winemakers decided to uncork a bottle of the 2014 Jordan Cabernet Sauvignon and taste it with some favorite Christmas cookies. In this month’s episode of Jordan Uncorked, the question is not when to drink this vintage (it will live for decades). We want to see how this food-friendly red wine stands up to sugary desserts, which usually mute the wine’s flavors and accentuate the alcohol. We also have a few questions for you. What do you think of Assistant Winemaker John Duckett as Kris Kringle and Associate Winemaker Maggie Kruse as Sugarplum Mary? Would you drink Jordan Cabernet with cookies? And most importantly, which vintages would you like our winemakers to uncork in the new year? Comment with your requests. With constant budget cuts to public education, teachers increasingly find themselves wanting more than their paltry budgets can afford. In some classes, these educators wish for books. In others, the needs are more basic: pens, paper, maybe an overhead projector so students can follow a lesson. Since 2012, the John Jordan Foundation (JJF) has sought to bridge some of these gaps with the Teachers’ Wishes initiative. The goal of the campaign is simple: To make wishes for certain teachers come true. Every September, teachers can submit applications to receive funding for one wish. In seven years, the foundation has funded a total of 725 grants. The Teachers’ Wishes program set a new record in 2018. The foundation received 243 applications and distributed 120 fully funded grants. The remaining 123 teachers each received $20 gift cards to Office Depot. That means every applicant received funding of some kind. Though there have been years with more applications, 2018 was the largest number of wishes JJF fulfilled since the program’s inception. All told, the applicant pool represented 106 schools across 30 districts in Sonoma County. According to Lisa Wittke Schaffner, executive director of the foundation, the breadth and depth of the application pool was a reminder that teachers are committed to doing their best. 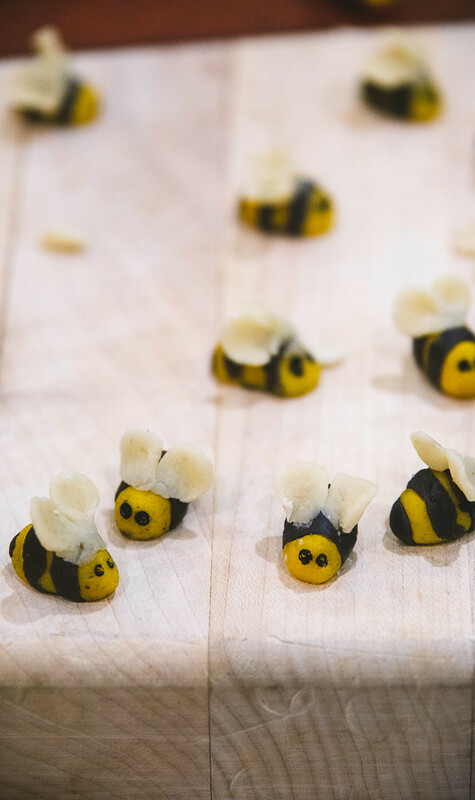 “Each year, Teacher’s Wishes reminds me of the creativity and desire of educators to provide an interactive and interesting environment for their students,” she said. A handful of applications were particularly inspiring. Like the one from Santa Rosa City Schools, in which a teacher requested money to purchase more books to help students prepare for the ACT, SAT, and Advanced Placement exams, as well as books to help students write college essays. Or the application from a teacher in Sebastopol, who said her school’s campus is poorly landscaped and requested money to buy some trees. “This grant program allows teachers to have a new teaching tool and purchase project supplies to get the kids excited about learning,” Wittke Schaffner said. The Teachers’ Wishes program is an annual program, which means teachers can submit new applications to fund additional wishes as soon as September 2019. At a time when budgets are shrinking across public education, it’s great to be able to make some teachers’ wishes come true. A significant portion of the proceeds from Jordan Winery fund the foundation, which works to fight the negative effects of poverty. Learn more at www.johnjordanfoundation.org. Curious how that bottle of 2001 Jordan Cabernet Sauvignon in your cellar tastes right now? Kevin Bryant is, so we opened one in this month’s episode of Jordan Uncorked. Watch to find out if this aged red wine is ready to drink. We only have big bottles of the 2001 Jordan Cabernet Sauvignon left in our cellar, starting at $289 for the magnum. Which vintage would you like our winemakers to uncork next? Leave us a comment. Mother Nature has a track record of rewarding grape farmers and winemakers the year after a challenging vintage, and we were hoping grape harvest history would repeat itself with an incredible vintage in 2018 to follow the extremely difficult 2017. (She blessed us with one of the best wine vintages of my career in 2012 after 2011 brought a hard reminder that nature does have a cycle.) It’s remarkable how similar the 2018 vintage is to 2012. If you loved the wines from Napa and Sonoma from what’s been called the “vintage of the century,” get ready for the next contender of space in your wine cellar. Looking back over the last eight months since bud break in the vineyards, there are four key factors that led to a phenomenal wine vintage for Sonoma County grapes in 2018. Watch all my 2018 harvest update videos on Facebook. 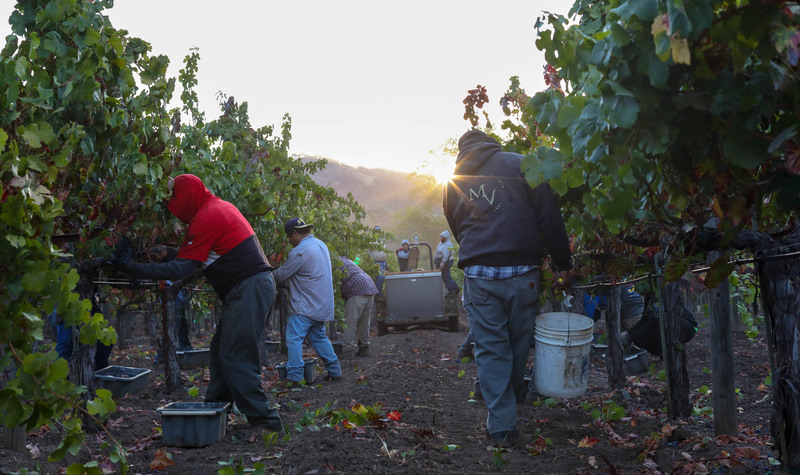 The Munselle Vineyards picking crew harvests hillside cabernet sauvignon grapes for Jordan on October 11, 2018. After years of drought, hot summers and early harvests, 2018 was the first vintage in recent memory that returned to what I call the “old normal.” The entire 2018 growing season was 3-4 weeks later than recent vintages. 2018 reminded me more of classic vintages from the 1990s when winter stayed cool with just enough rainfall and bud break in the vineyards occurred at a more typical time in late March. This set the pace for the grape growing season to continue progressing at a somewhat late yet normal pace. Very little rain or wind during the May flowering period let to a generous but not excessive cluster count. August felt like the old days—very foggy, cool mornings where the sun didn’t peek through the marine layer until lunchtime. The only real weather concerns of the entire vintage was a heat spike in June during fruit set and a little rain in late September. Fortunately, all of the thin-skinned chardonnay grapes were picked for Jordan before the rain, and cabernet sauvignon was born with a raincoat. We actually prefer a little rain between the white and red grape harvests to cleanse the Bordeaux variety grapes. The weather was glorious throughout October with cool, foggy mornings and sunny days. Malbec grapes ready for harvest on September 21, 2018. When fruit set occurred in June, the 2018 crop looked average in size, and I called it an “average but not great” crop size in my first Facebook Live growing season report of the vintage. I even said that 2018 clusters weren’t going to be as full as 2012 or even 2016. But as summer progressed, the clusters kept filling out beautifully, and there were many more berries per cluster than usual. This is what happened in 2012 as well. The similarities I found with the 2012 vintage and 2018 vintage gave me impetus for using the 2012 cluster weights in assessing the crop level for 2018. It is always a big guess as to how many tons per acre a block of grapes will produce. Experience certainly helps, but grower and winemaker are still more often wrong than right with their crop estimates. 2018 was no exception. As the cool weather prevailed through much of the summer, the vines kept drinking up the water from the irrigation and gleefully putting it in the clusters. Cluster sizes in many grower’s blocks were at a record high. As the vintage continued to fill our tanks in the fermentation room, totals from each block came in with similar yields as 2012. One grower of note set a record for his block at almost twice the normal yield. Merlot grapes awaiting harvest at Munselle Vineyards on September 22, 2018. As previously mentioned, August was quite cool, and the heat spikes that the end of summer usually delivers never arrived in Sonoma. The days had such long, cool mornings and moderately warm afternoons in September that we called off all Jordan Chardonnay picks, giving the grapes increased time to hang and develop more intense flavors. With no threat of rain in the forecast in early or mid-September, winemakers had the luxury of letting all the grapes further mature as the varietal aroma, mid palate and depth of fruit concentrated. The gorgeous weather continued in October, when winemakers are usually worrying about fall rains and the vines beginning to shut down for the season. At the same time pumpkins were being harvested as Halloween décor, winemakers were able to work at a more relaxing pace, let fermentations progress naturally and wait to pick the grapes at just the right moment. This allowed the smaller berries of 2018 to develop a very intense level of dark fruit flavors and mature tannins in the red wine grapes and very bright, apple flavors in the chardonnay grapes. 2018 was the first vintage since 2010 that we were still harvesting grapes the morning of the Jordan Halloween party (October 20). The bountiful harvest continued through late October 2018 for Jordan Cabernet Sauvignon. Both winegrower and winemaker are content with a bountiful harvest, but the winemaker alone is only content when the bountiful harvest means beautiful aromas, rich flavors and deep fruit character. We were both all smiles in September when the 2018 grape harvest began. It’s very rare that both of these things happen in concert—there’s usually some sort of issue with a little rain or a heat spike—but 2018, like 2012, is one of those phenomenal, special vintages were plentiful is the defining descriptor—lots of beautiful grapes with tremendous flavor concentration in the berries. Even though the berries were smaller, the weight of the clusters was record-breaking for cabernet sauvignon—about 0.4 pounds compared to the typical 0.25 to 0.30 pound per cluster of grapes. But the depth of flavor wasn’t impacted at all from the copious cluster weights. The blackberry and cassis flavors in the cabernet sauvignon and merlot grapes are exceptional, and the natural grape tannins were ideal. Winemaking and grape growing are earth sciences, and we humbly yield to the variable nature of each vintage. After a difficult 2017 that was out of balance with excessive heat and small yields from every grower, we feel like we all deserved a generous harvest like 2018. As the last tank is pressed, we sit back in our easy chair and start to doze off until the next harvest. Just kidding. With the “barn” full of race horses, our winemaking team will begin assembling the 2018 blend. Barrels from our friends in France begin to arrive and then we start the process of pumping out the 2017 vintage into barrels to make room for our new young child, the 2018. The cycle continues and the excitement of the new harvest inspires our senses as to how we will shape the new vintage to earn the name, Jordan. The 2018 Jordan Cabernet Sauvignon will release in spring 2022, and the 2018 Jordan Chardonnay will release in spring 2020. There are some new faces in the Jordan Winery kitchen, and we want you to know a little more about the passionate culinary team that cooks the food pairings for our daily wine tastings and vineyard tours, as well as all the delicious hors d’oeuvres, entrees, salads, sides and desserts we serve at our winery dinner parties, private lunches and other meals. Executive Chef Todd Knoll is excited to welcome two new cooks to Jordan, both of whom already feel at home—thanks to their past freelance work at Jordan events. Andrew Cooper near the Jordan Winery kitchen. Born and raised on the North Carolina coast, Andrew Cooper grew up surfing and fishing. After graduating from high school, he moved to Healdsburg for a summer to pursue his passion in the culinary arts, and the rest is history. 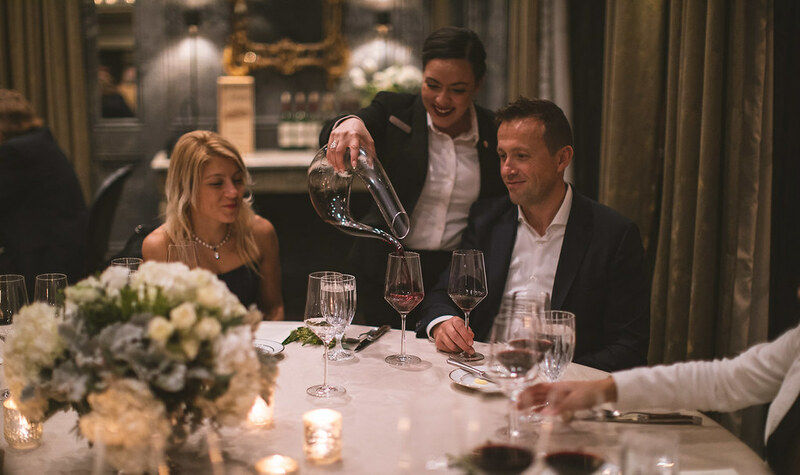 He will assist our executive chef with Jordan Winery culinary events, private dinners and lunches, and other food and wine experiences at Jordan Estate. Have you always enjoyed cooking? Always—ever since I was old enough to hold a wooden spoon and stir the buttermilk in my Grandma’s biscuits. Is there one a-ha moment where you realized you wanted to be a chef? Yes. The first time I cooked dinner for my mother, and I smelled the onions browning in the butter, I knew I wanted to cook for a living. I’ve worked in a few different places in wine country honing my skills, including Jackson Family Wine Center, Oakville Grocery, Dean & Deluca and Bohemian Grove. What do you love most about cooking in wine country? Access to the most diverse and fresh ingredients. Buttermilk biscuits and fried chicken. Or Southeastern-style BBQ. If you could only have one ingredient, what would it be and why? Salt, so food tastes like it should. What are your two favorite dishes at Healdsburg restaurants? Well, it’s a little outside of Healdsburg, but the Sonya pizza at Diavola in Geyserville is a must! Inside city limits, I would say the Molcajete at El Farolito. How did you hear about the new culinary position at Jordan? I helped out at Jordan culinary events many years ago, and Nitsa Knoll contacted me to see if I was interested in coming back. Why did you decide to take the job at Jordan? There is an amazing family vibe that is heartwarming and contagious. Also, the ability to learn and grow seems to be endless. What are you most looking forward to about working in the Jordan kitchen? Fun things with my kiddos, from hiking, surfing and snowboarding to date nights at nice restaurants with my wife. After cooking for many years, I switched careers to winemaking in 2009. I worked for Paul Hobbs, Kunde and the Pisoni family crafting high-end wines. Anything else you’d like our fans to know? I recently took a couple years off work, so my wife could focus on her career, and I could spend some quality time with my children. It was the best and hardest thing I have ever done. This allowed my wife to earn a director of marketing position for Kendall-Jackson, and now, I am excited to be back in the kitchen full time. Griselda Lopez in the Jordan Winery garden. Born and raised in Sonoma County wine country, Griselda Lopez joined Jordan full-time in July. 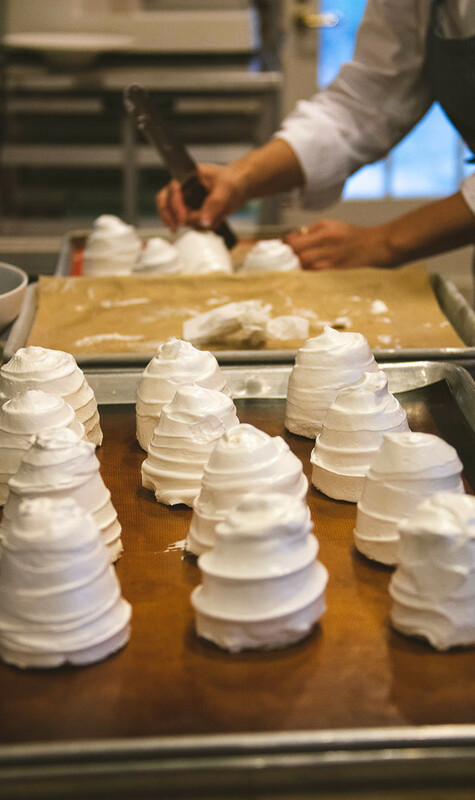 She’ll be assisting our executive chef with prep at Jordan Winery dinners, lunches and other meals, as well as focusing on baking homemade pastries, cookies and other desserts. Yes. I grew up in a family that loves to cook. Both of my parents are Mexican immigrants who are very good at cooking. I also have one sister and four older brothers who all love to be in the kitchen. That’s a tough question. I don’t think I ever imagined myself as a chef, but I always knew I wanted to cook. I’ve always felt that there is nothing more rewarding than being able to make someone happy through my cooking. Where else have you worked in the kitchen? Before joining Jordan full-time, I worked at Campo Fina in downtown Healdsburg. I started as a line cook in July 2015, making cold sides, salads and desserts and worked my way up the line to the pasta station. Technically, I started working at Jordan Vineyard & Winery about nine years ago as an on-call server and was eventually given the opportunity to assist in the kitchen for events. What do you love most about being a chef in Sonoma wine country? I love everything about it! If I had to choose one thing, I would have to say the local produce. We are incredibly lucky to be surrounded by such giving soil, which helps us grow so many flavorful things, from the beautiful stone fruit in the fall to the sweet berries in summer. Enchiladas Michoacanas. These enchiladas filled with smashed potatoes and carrots are very traditional to make in my family. We still enjoy cooking the staple dishes of our culture—posole, carnitas and birria—but Enchiladas Michoacanas are the one dish that takes me back to my parent’s table surrounded by my older siblings, cousins, aunts and uncles. Corn. You don’t need anything else to make it taste delicious. Throw one over hot fire, husk and all, and you have roasted corn on the cob or cut the corn off the cob and grind it into a mush, then use one of the corn husks as a wrap to make a quick and easy plain corn tamale. What’s your favorite thing to eat out in Healdsburg? My favorite would have to be the Sugo Calabrese Spaghettini from Campo Fina. Order it with extra cheese. You’ll love it. My cousin, Maribel Lopez Soto, is the director of Jordan Estate Rewards, and she called me as soon as she heard there was an opening. I jumped at the chance! Ever since I started working culinary events at Jordan, I have always loved coming to the winery. Jordan is a great place to work and offers many opportunities to learn and grow as an employee. 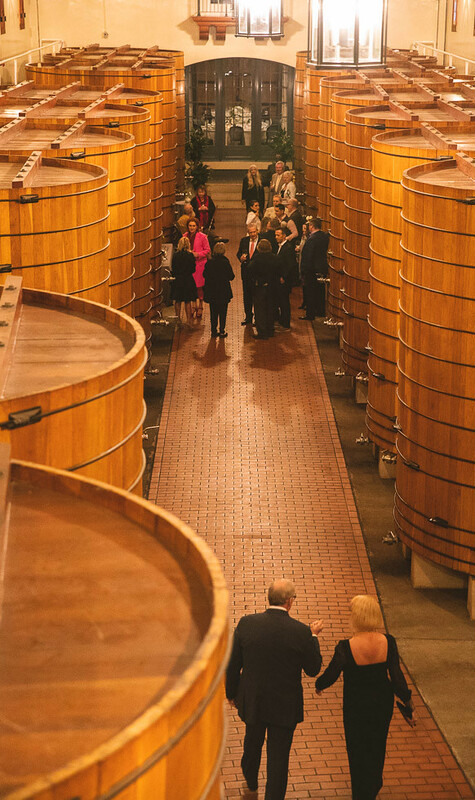 One of the things that caught my attention is the fact that many of Jordan employees have been here for many years and that to me says a lot and makes me feel great about my choice to become part of the Jordan Winery family. I look forward to learning new skills and techniques from our talented Executive Chef Todd Knoll. I love being able to enjoy time with my daughters, whether staying home and being lazy or taking them out for a treat. Many wine drinkers don’t think of California chardonnay as a wine that can be aged. And while the bigger, buttery and higher-alcohol chardonnays do tend to fade within a few years, quality California chardonnays of balance with firm acidity can live for almost a decade. Acidity is the spine of the wine. Sometimes, our winemaker even calls it the soul of the wine. This month’s episode of Jordan Uncorked features a five-year-old Jordan Chardonnay requested by one of our fans. The 2013 Jordan Chardonnay tastes so young, we’re featuring it at more wine tastings and dinners. Thanks for the suggestion. Learn more about the 2013 Jordan Russian River Chardonnay. The new Jordan Holiday Gift Guide debuts this week, offering delicious gifts for wine lovers. Whether you’re looking for Christmas presents, corporate gifts and gifts for clients, this year’s gift guide features several new wine gift boxes, wine gift sets, food gifts, build-your-own gift boxes with special vintages and dedicated concierge services for corporate gifts. There’s also 30-50 percent off shipping on qualifying multi-package orders. The Signature Trio from Jordan Winery features Chardonnay, Cabernet Sauvignon and Extra Virgin Olive Oil in a gift box. Wine gift boxes are always a classy choice for Christmas gifts. Jordan offers its current release Chardonnay, Cabernet Sauvignon and Extra Virgin Olive Oil in one-bottle gift boxes, as well as both Chardonnay and Cabernet Sauvignon in a two-bottle wine gift box. There’s also a trio of three vintages of Jordan Cabernet Sauvignon in wine gift box. Looking for gifts for food and wine lovers? The Jordan Signature Trio Collection features Jordan Chardonnay, Cabernet Sauvignon and Extra Virgin Olive Oil in a three-bottle gift box. Interested in a special vintage? Build your own wine gift box on our online shop. The Jordan Chef’s Reserve Caviar comes with a mother of pearl spoon to create a lovely caviar gift set. Sonoma olive oil is one of the best gifts for foodies. Jordan has been crafting extra virgin olive oil in Sonoma County since 1997, which makes this year’s olive oil gift box with 2017 Jordan Estate Extra Virgin Olive Oil a 20th anniversary vintage. Olive oil dipping dishes can be purchased separately. A decadent gift for the gourmet food lover in your life, Jordan Chef’s Reserve Caviar by Tsar Nicoulai includes a mother of pearl spoon and overnight shipping. If you’d like to create your own caviar and champagne gift set, Champagne gift boxes featuring the new Jordan Cuvée by Champagne AR Lenoble, are available for shipping to California addresses. Wooden wine gift boxes are available with two, six or 12 bottles of Jordan Chardonnay and Cabernet Sauvignon. A wooden wine box filled with quality wine always gets rave reviews from loved ones, employees and clients. The two-bottle box featuring current vintage Jordan Chardonnay and Cabernet Sauvignon is one of our most popular corporate gifts. Six- and 12-bottle wooden wine gift boxes are also available. Build your own wine gift box presents with one, two or three bottles. Jordan’s holiday gift guide includes convenient shopping for corporate gift ideas and special concierge services for multi-package orders. Our personalized concierge services for corporate gifts are also highlighted in the Jordan Holiday Gift Guide and in the dedicated corporate gifting services section. Jordan Winery’s online shopping cart also offers convenient shipping to multiple addresses; our concierge can also handle all of the administrative work for your order and send you a price quote for approval. An elegant wine gift box filled with an equally elegant 2016 Jordan Chardonnay. Order 12 or more gift boxes or wooden gift sets and receive 30% off shipping. Spend $2,500 or more on any combination of products and receive 50% off shipping. Jordan wooden wine boxes can be engraved and personalized. Other Jordan corporate gifting services include personalized wine gifts for a unique gift ideas, including custom-etched wine bottles and laser-etched wooden wine boxes. Personalized gift orders require additional processing time 7-14 days due to the custom artistry. All Jordan wine and gourmet food gift orders must be placed by November 19 for Thanksgiving delivery and by December 17 for Christmas and New Year’s Eve delivery due to winery holiday closure dates. Please note that 10 or more orders require three additional business days to process. Orders can be placed by calling 800-654-1213, emailing orders@jordanwinery.com or shopping online. View the Jordan Shop for more information on shipping discounts, shipping deadlines and other perks. Happy Holidays! They say good things come in threes. 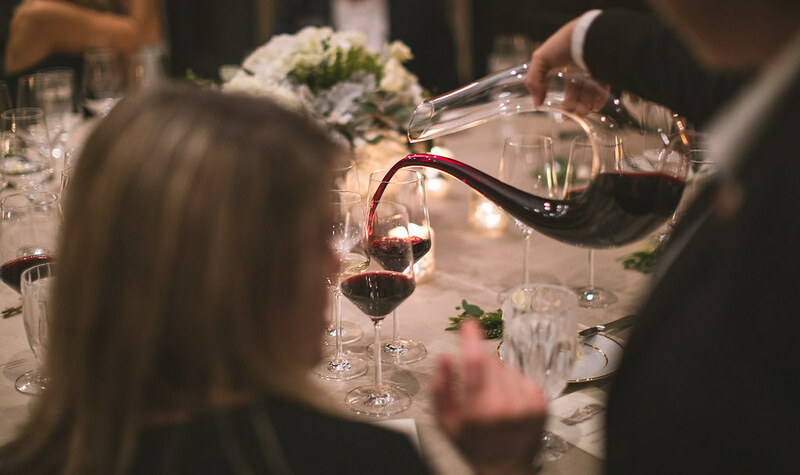 That’s the truth for Cabernet Sauvignon wine lovers this year because 2014 completes the holy trinity of exceptional vintages in Napa and Sonoma, following the superstar harvests of 2012 and 2013. Many Napa and Sonoma Cabernets from the 2014 vintage are available to buy now. 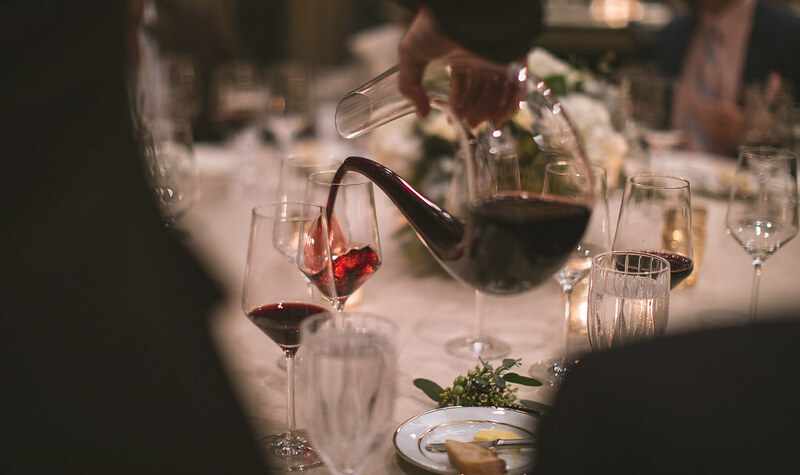 Considered a California drought vintage, 2014 enjoyed moderate-to-warm weather from winter to fall, allowing us to craft concentrated, complex Alexander Valley Cabernet Sauvignon at Jordan—our 39th vintage from the king of red grapes. Why is 2014 a great vintage for Alexander Valley Cabernet Sauvignon? There were five key events that led to the smooth-as-silk wine you’ll find inside a bottle of 2014 Jordan. Pour yourself a glass of wine and see if you taste the difference. The fourth-driest year on record in California, 2014 enjoyed dry, moderate weather throughout winter with six inches of superbly timed rainfall right before the early bud break in March. Spring conditions remained warm and dry, so the grapevines bloomed early and evenly, leading to the most even flowering and fruit set our winemaker has seen in his career—and he’s been making wine at Jordan since 1976. Extremely dry weather continued in July and August, with only a few heat spikes, allowing the crop to ripen uniformly and develop concentrated flavors. The lack of extreme weather events in 2014, coupled with a critical March rain, judicious irrigation and other water conservation experiments, were key to the quality of cabernet sauvignon grapes harvested in 2014. Grape clusters looked gorgeous and had the kind of intense, fruit flavors of blackberry and cassis that make for a dream vintage. Balance in all things is central to Jordan’s winemaking philosophy and elegant style, and grapevines need help keeping their balance through the growing season. We prune their canes in winter to ensure only a small number of buds emerge at the end of winter, we remove extra buds in spring (called “suckering”) to channel their focus and we thin cabernet sauvignon grapes during veraison to ensure that only the evenly ripening clusters get harvested into the same gondolas. Between the lack of rainfall from the California drought and the warm weather, the vineyards carried grapes that were average in size and weight in 2014. We never really had to worry about there being too much fruit on the vine, which can lead to less concentrated flavors. A balanced vine in the vineyard makes for a beautifully balanced wine in the bottle. Weather can influence the size and uniformity of a grape harvest during three key phases of the annual growing cycle of a grapevine: spring flowering, spring fruit set and summer veraison. When it’s cool, wet or windy during the flowering of the grapevines, the plants don’t bloom evenly, which means every flower doesn’t form into a berry. If it’s too cool or too hot during fruit set, the grapes that formed after flowering will not grow evenly. Extremely hot or cool weather during veraison, when red grapes change color, can also lead to grapes not ripening evenly. None of these weather challenges occurred in 2014. The grape clusters were healthy and uniform, which means fruit, acids, sugars and tannins were also in sync—another key contributor to balance in the wine. Grape skin, like human skin, can get sunburn from overexposure to intense sun. Grapevine canopies are shaped and shifted each year to try to find the perfect balance of enough sunshine on the grapes, but not too much. Organic sunscreen is even sprayed on the red wine grapes at Jordan every August to protect them (pictured above). Because 2014 didn’t have the major heat waves or dramatic spikes in temperature like 2010 and 2017, the lack of sunburn for both white and red grapes contributed to wine quality. Sunburn to the skins affects the intensity of fruit flavors. Alexander Valley cabernet sauvignon’s blackberry, black cherry and cassis flavors were pure, concentrated and delicious from the moment the grapes were pressed. Patience was not a virtue for Alexander Valley cabernet sauvignon during the 2014 harvest. Due to the warm weather throughout the growing season, harvest began early for red wine grapes—right after Labor Day. At Jordan Winery, merlot grapes were the first to be picked on September 2, 2014—about 7-10 days earlier than in 2013, which was one week earlier than that. This beautiful weather ensured that Bordeaux grape varieties like cabernet sauvignon and merlot were ripe and ready to be harvested before the autumn equinox, when days gets shorter and the chance of rainfall increases. A mid-September rain shower was a blessing in disguise, which slowed down the picking schedule for thick-skinned cabernet sauvignon, which is one of the few grapes that can handle a little rain without any dilution of flavors. The entire 2014 grape harvest was finished at Jordan by October 10, and we were beyond ecstatic with the quality of 2014 grapes that followed on the heels of two phenomenal vintages. Sound like a great vintage? Learn more about the 2014 Jordan Cabernet Sauvignon on our website. Dig deeper into the 2014 harvest with our winemaker’s harvest report video and our 2014 growing season blog. It’s a real treat when one of our fans requests an old bottle of Jordan Cabernet Sauvignon to taste on Jordan Uncorked. Luckily, we were able to find this bottle at auction for our winemakers to open and share their tasting notes for those who own bottles of 1989 Jordan Cabernet Sauvignon or have interest birth year wines from this vintage. Watch our video to learn when to drink this aged red wine. Learn more about the 1989 Jordan Cabernet Sauvignon. Magnums of this wine are currently available for $400. Please email us to inquire about current stock. Subscribe to our blog or YouTube channel for “Jordan Uncorked” each month. The 2006 vintage was a turning point for Jordan Cabernet Sauvignon–the first harvest fully under John Jordan’s direction–and wine drinkers could already see the subtle changes in vineyard sources, grape blending and French oak barrel aging when the 2006 Jordan Cabernet Sauvignon released in 2010 for $52. We’re glad one of our fans requested the 2006 for Jordan Uncorked. Watch our video tasting note to find out how this highly structured red wine is tasting after a decade of bottle aging. Based on the winemakers’ comments, would you drink now or cellar? The 2006 Jordan Cabernet Sauvignon is available to purchase from our library for $79. Learn more about our recent winemaking enhancements with this blog: Why Jordan Cabernet Sauvignon is Moving to 100% French Oak. Comment below to let our winemakers which when you’d like them to uncork next. Don’t forget tune in every month for “Jordan Uncorked” on our YouTube channel or Facebook page. Higher education isn’t a given for everyone. Especially with the rising costs of college and university, sometimes a family’s finances can put a limit on opportunities with post-secondary schooling. I attended four years of undergraduate school at Occidental College, followed by years of grad school at the Empire College School of Law and the University of San Francisco. Many young people aren’t as lucky as I was. This is why the John Jordan Foundation helped launch 10,000 Degrees in Sonoma County back in 2013. It’s also why we committed five more years of support at the end of 2017. If you’re not familiar with this great organization, 10,000 Degrees enables students from low-income backgrounds get into and through college in order to positively impact their communities and the world. Over the last five years, we’ve directly helped the organization award more than 1,500 scholarships. In 2017 alone, our contributions resulted in 500 undergraduate scholarships totaling more than $785,000. As it always does, 10,000 degrees awarded all of these scholarships on the basis of the applicants’ financial need, motivation and perseverance. The organization also helped students procure an additional $16 million through federal, state, and private funding sources for an average of more than $14,000 per student. The John Jordan Foundation hasn’t only given 10,000 Degrees money for scholarships; we’ve donated money for infrastructure improvements, too. In 2016, we helped 10,000 Degrees build a Santa Rosa office and College Success Lab. The latter facility has proven to be a critical resource, especially since the wildfires of October 2017 caused such a disruption in the lives of so many students. Students of the 10,000 Degrees program. Perhaps the most wonderful aspect of our involvement with 10,000 Degrees is the fact that a number of our 2013 scholarship award recipients completed their degrees in recent months. Two recent Sonoma State University graduates in particular stand out in my mind: Joanna Pacheco, who went on to join the staff of the Sonoma County Probation Department, and Nancy Torres, who currently is working as a clinical assistant at Paradigm San Francisco. These talented young women are working to make the Bay Area a better place to call home. The relationship between the John Jordan Foundation and 10,000 Degrees is a story of strategic investment and partnership that provides opportunities for low-income students to have a chance at a college degree. The next time you’re enjoying a bottle of Jordan wine, rest assured that your support of Jordan helps create opportunities for those who might otherwise not have them.